A written quotation or screenshot of the offer must be submitted by email to iglucruise@iglu.com before booking with Iglu Cruise. If a match is confirmed, our price match guarantee ensures that you get the holiday you desire at the best possible price. You have contacted us before booking with a written quotation or screenshot of the offer. The cruise must be available to book at the lower price at the time of evaluation. The screenshot is not deemed conclusive. Iglucruise is a member of both ABTA and ATOL, therefore your booking is financially secure. You can benifit from ABTA's assistance and Code of Conduct and all packages and flight-plus holidays are covered by a scheme to protect your money should a supplier fail. 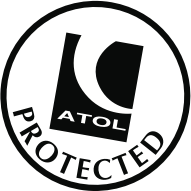 When making a booking you will be issued with an ATOL Certificate outlining proof of your protection. Along with our Price Match service, we also offer an excellent selection of cruise deals, last minute cruises and cheap cruises 2017. You can find cruises at specific destinations using our Caribbean cruises, Mediterranean cruises and Cruises from UK pages. You can also contact us by Facebook or Twitter.